This carrot sauce tasted delicious, I don't like overcooked vegetables so I fried my vegetables first. 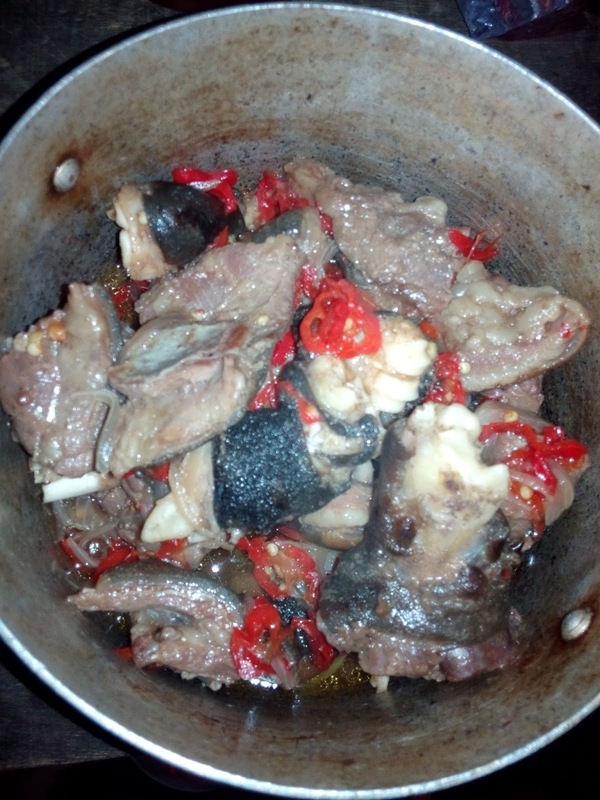 In an empty pot add vegetable oil and allow to boil for about 3 minutes. 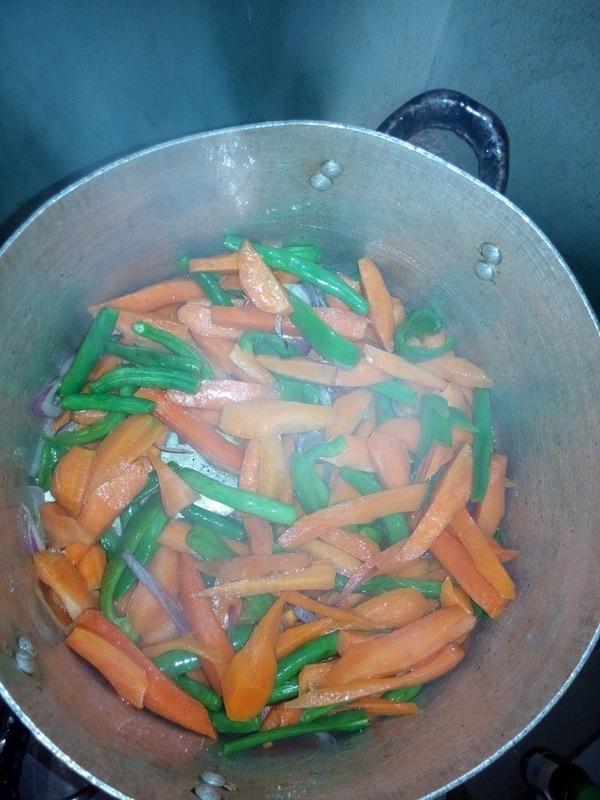 Then pour in green pepper, green beans and carrot leave for 2 minutes. 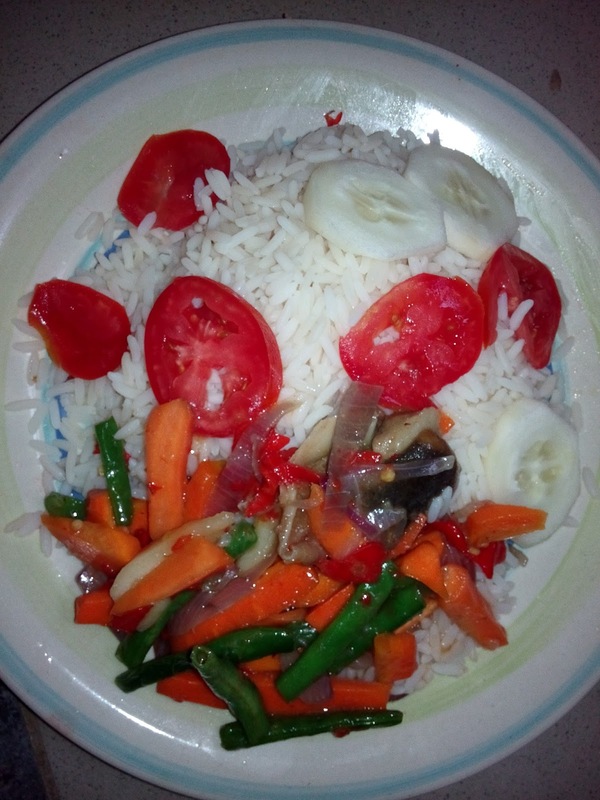 Remove the green pepper, green beans and carrot from the oil. 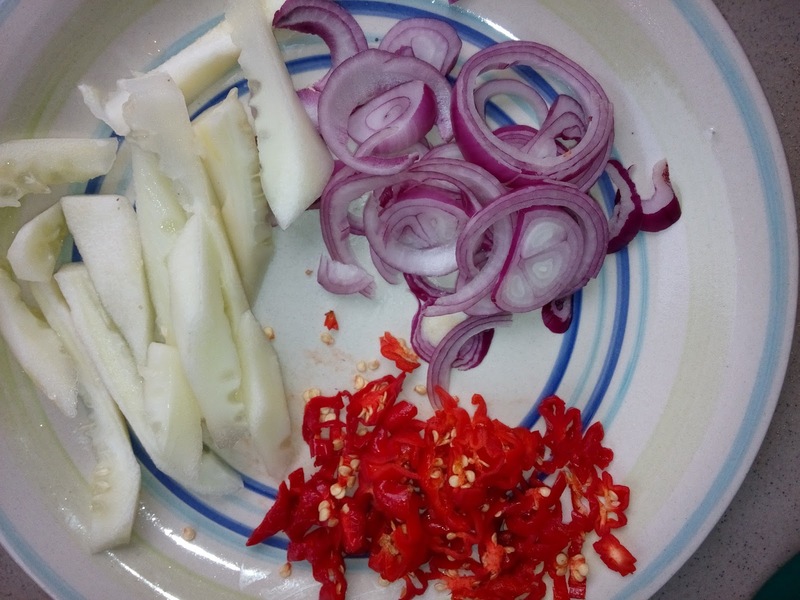 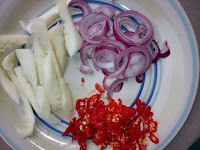 Pour diced onions, fresh pepper in the oil, turn and allow to cook for about 2 minutes. Add your boiled meat, cucumber, seasoning cube and salt to taste then add water and allow to boil for about 5 minutes. 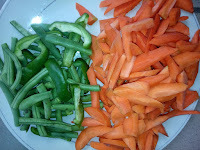 Add your corn flour , cover and allow to boil, then pour in your fried vegetables, turn and bring down.